Hey everyone, I hope your first week of the new year is still going strong. I’ve been working on new daily routines and healthy eating habits as well trying to organize the house and my life. 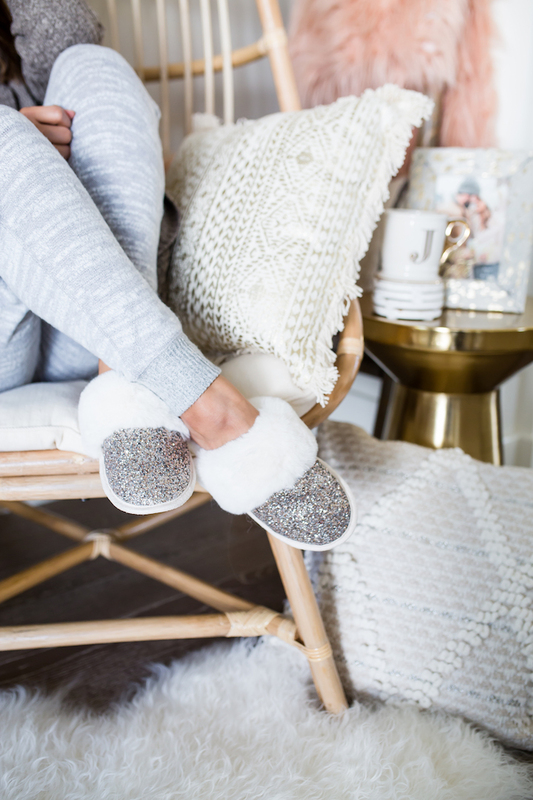 To help you out with your own life organization, I’ve partnered up with World Market to share 5 tips on how to better organize your home! First things first! Let’s get your priorities in order! 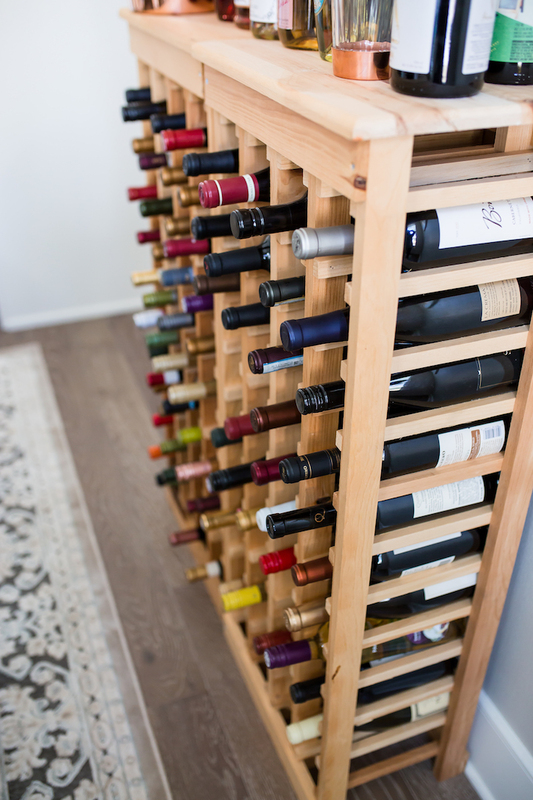 Where do you keep your wine and are the bottles organized by year, color or price? 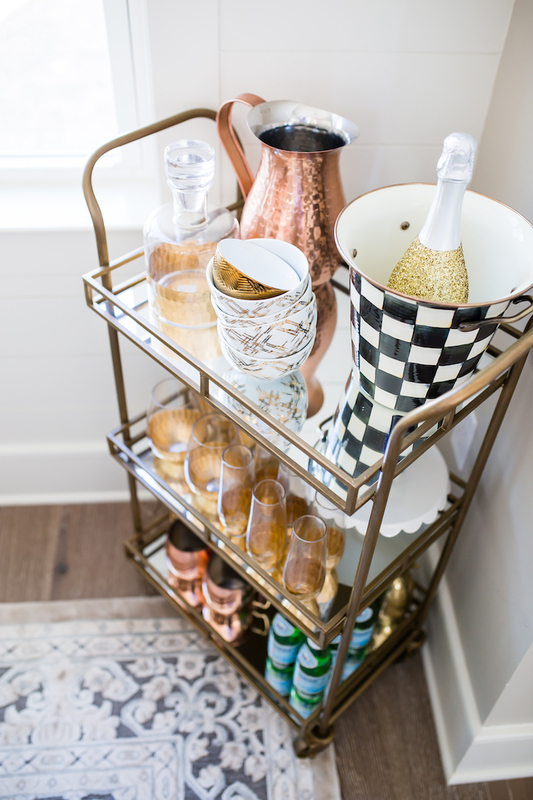 We are working on building a wet bar with a winer cooler, but until then we love using these pine 44-bottle wine racks from World Market. Blake keeps the bottles organized by brand (aka fanciness). 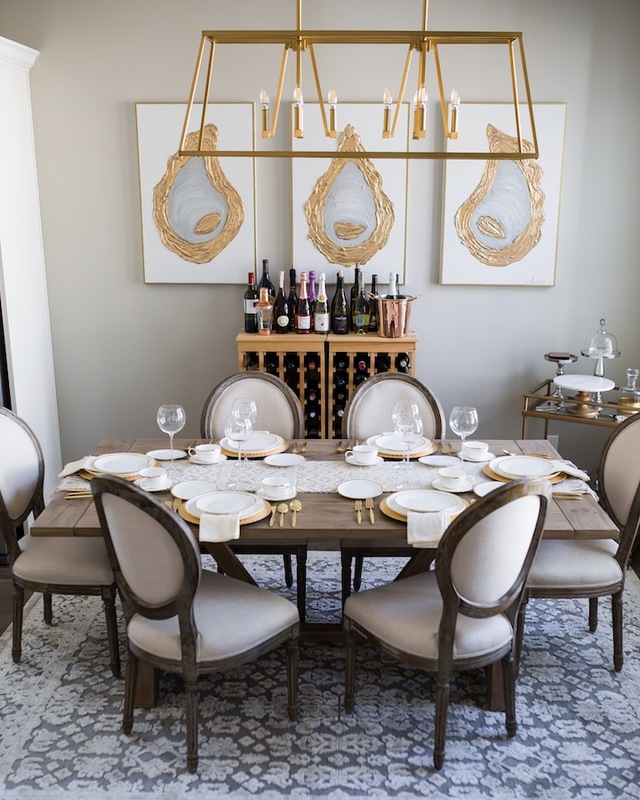 It makes it easier when we have guests over because we know which section to pull from. 2. Convenient storage! Since I’m a blogger, I’m constantly getting new stuff to feature for you all. 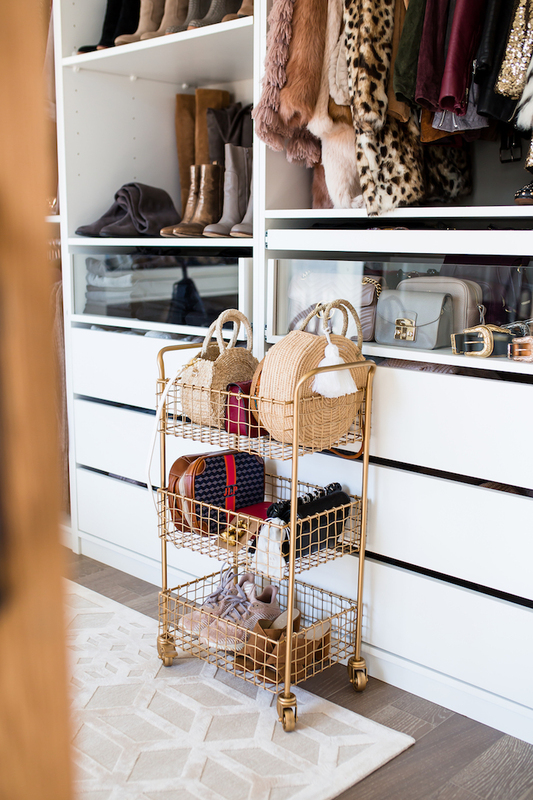 Sometimes my office can get a little messy and overwhelmed with products, but if I put everything away in closets and drawers, I’ll forget about the new items. So I use this gold rolling cart to hold all of the new items until they’ve been featured. I also use a second gold rolling rack to store beauty products in the bathroom. 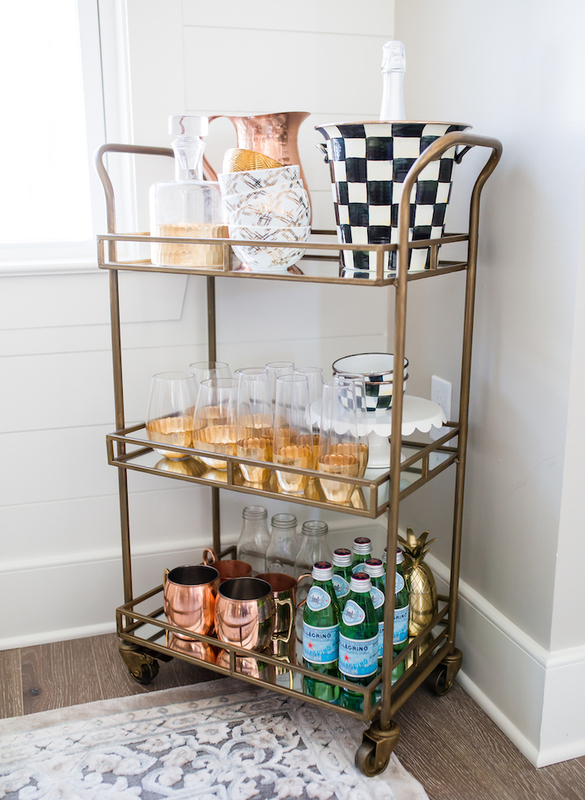 These gold carts are perfect for storing items that you need to have easy access to, but don’t have anywhere else to put them! 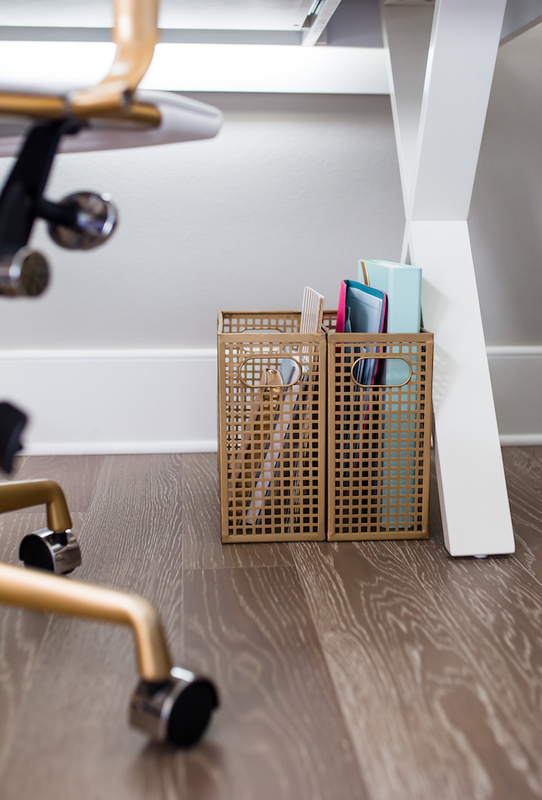 They’re also great for keeping your offices supplies and papers. 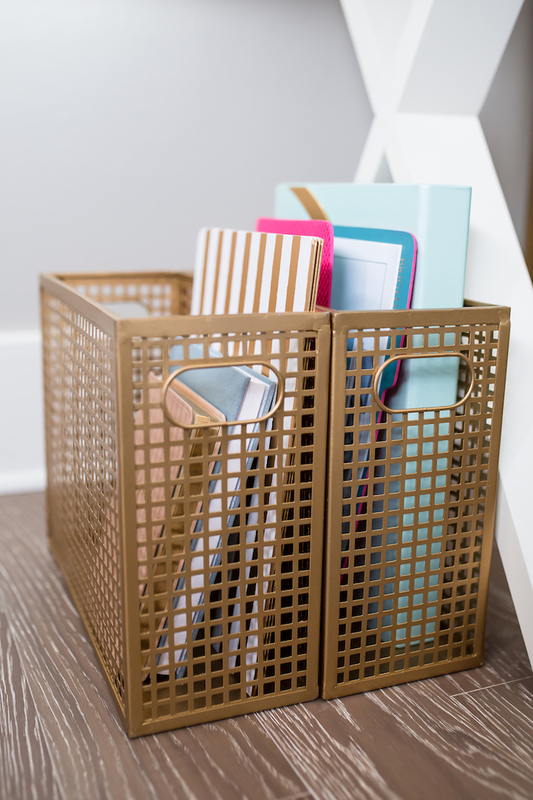 3) Speaking of office storage, I highly recommend these gold file storage to keep all of your tax documents, bills and other house paperwork. I also like this gold wire one! 4) Display storage! Put all of your pretty throw blankets where you can enjoy them in the living room like this wood ladder or macrame basket. 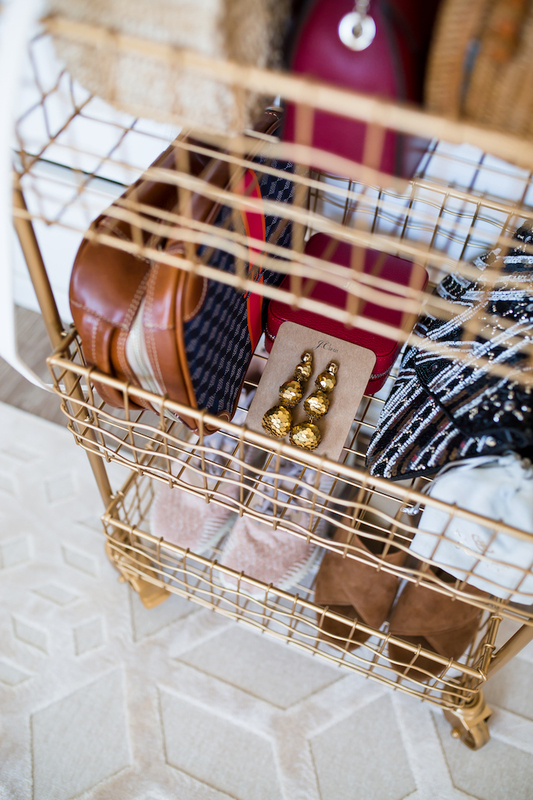 Leave the closet space for all other messy items that you’d rather keep hidden instead on the kitchen counter or coffee table.